The story of this Quilt; Friends come in all shapes and sizes. Elephant’s best friend is a goldfish in a bowl that balances on his trunk, hippo loves her snail, tiger has two canary friends who sing for him, and giraffe has an owl family who love to perch on her head. This heartfelt story is about making friends with others who are different than ourselves and reinforces acceptance of the differences in each of us. Funny Friends quilt has beautifully hand crafted appliqués and embroideries of our Funny Friends characters. 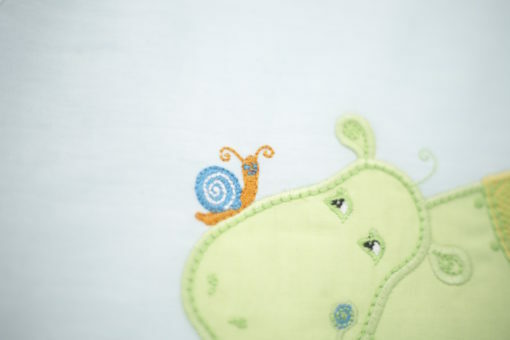 We have created this charming quilt to be perfect for a boys or girls room. 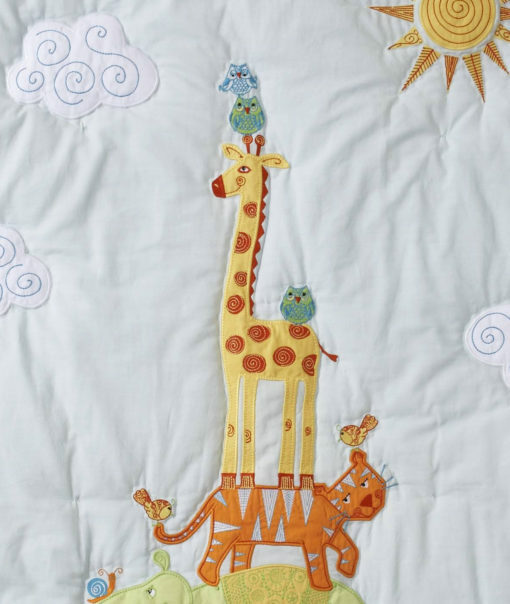 This versatile quilt can be used as a nursery wall hanging with pole pocket on reverse, as well as a functional toddler quilt. 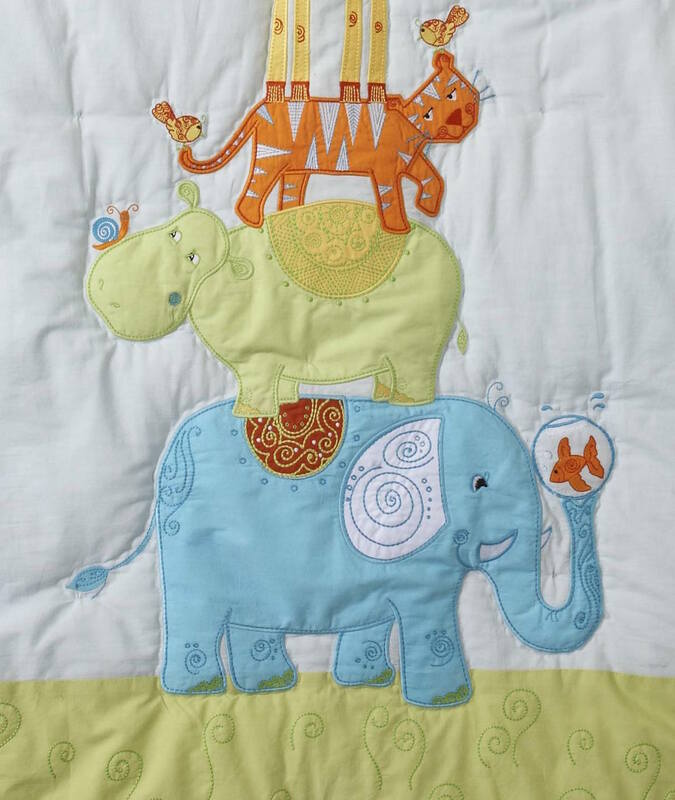 Hand quilting is delicately stitched around each Funny Friend, with additional hand tufting throughout the quilt to add warmth. Reverse is cotton sateen multi colored stripe. In the true spirit of heirloom quality, this incredibly detailed quilt can be passed down in the family for generations. Also perfect for monogramming and personalizing. 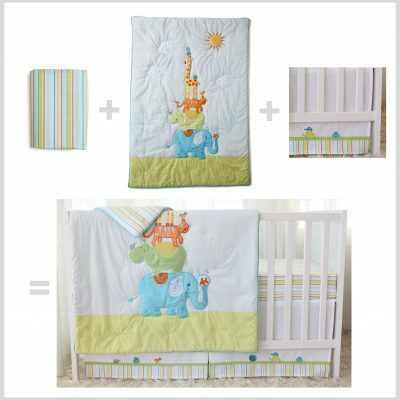 Here at The Little Acorn we design gender-neutral bedding & decor, where there are no gender specific colors, characters or patterns. 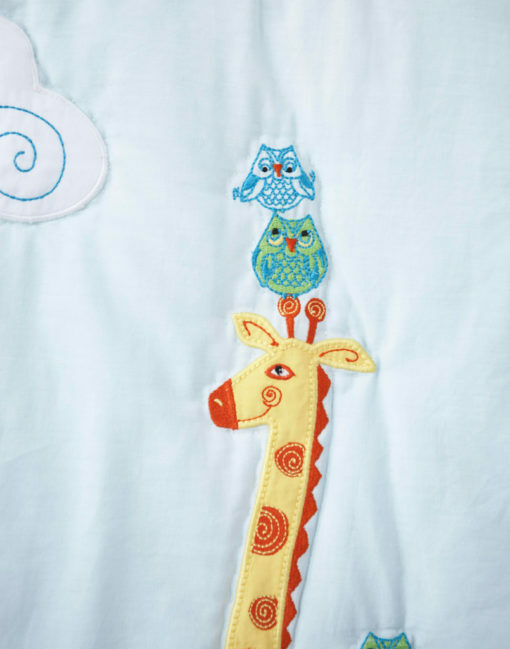 Or collections are designed for sweet boys or girls’ bedrooms. Perfect for gift giving even when baby’s gender has not been revealed. This is unique to The Little Acorn and has resulted in numerous design and parental awards. 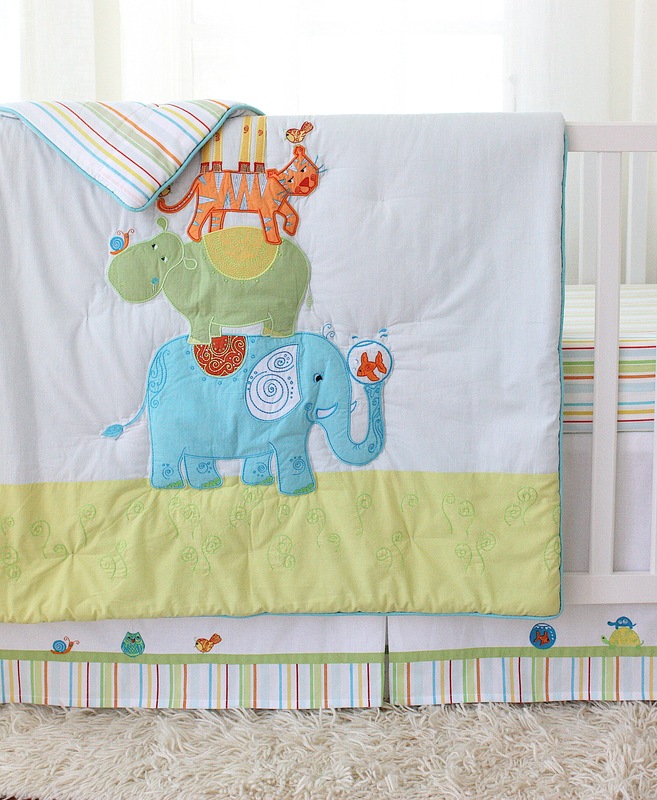 The Little Acorn’s LIMITED EDITION collections guarantee that no more than 1000 of each quilt, bumper and crib skirt is hand-made, assuring your customer family a genuine treasured heirloom that can be passed down in the family for generations. At The Little Acorn, quilting and tufting are done by hand and add to the beauty and design of the finished quilt, But the more functional purpose for our handwork is to trap air within the quilted and tufted sections, making the quilt slightly more puffy and as a whole, much warmer. This handwork adds to the beauty and luxury of our quilts. Reverse of quilt has pole pocket at top for display option. 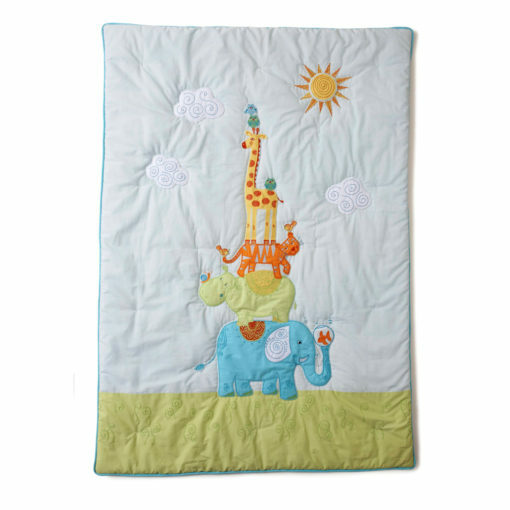 A feature that makes our quilts stand out for wall art displays, as well as highly functional toddler sleeping quilts. 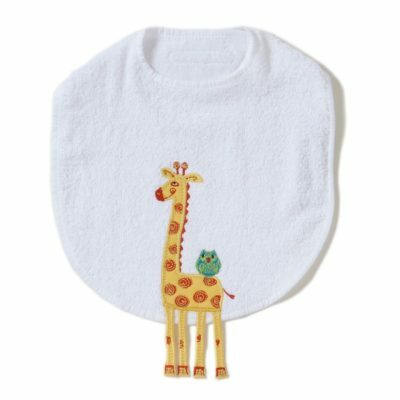 We use 100% polyester hypoallergenic fill. Dust mites and dander flourish in the tiny spaces and gaps in ordinary bedding. Alternatives like hypoallergenic polyester fill help keep a child’s bed free from these irritants. We keep the outer layers of our quilts all natural washable cotton where they have contact to a child’s sensitive skin. Back is Funny Friends yarn dye stripe, 250 thread count sateen. A sateen weave is a lightweight twill weave making it strong but very soft and wears well over time. Yarn Dye stripe means the pattern is woven into the fabric, which is better than a printed stripe because it is softer, and colors will not fade with washings. 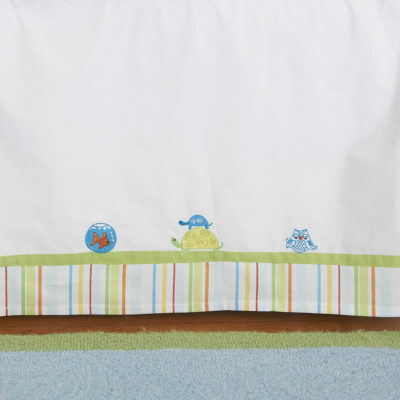 Machine washable 100% pure cotton percale face.